Paul Whibley, the ultra-hard working off-road racer from New Zealand, has announced his retirement from American racing. Whibs, known as the Axe Man (because he used to work in the NZ forest service) and the Badger (because he was in such great shape, he'd annoy the crap out of you late in the races) is a two-time GNCC Champion and six-time champion of the OMA Series. The dude is tough as nails and personified the never-give-up, function-over-flash spirit that off-roaders live by. The dude just never gave up--until now, as he's decided to head back home with plenty of trophies to stick on the mantle. Here's his official retirement letter below. It’s been one heck of a ride. Never thought I’d end up where we stand today. 12 years down the track with 2 GNCC and 6 OMA Championships. One perfect OMA season and 17 consecutive wins, and a lot of hole shots. Some achievements that I'm pretty proud of. It’s a tough call to make though and one I have wrestled with for a while now but I know it’s time for us to head back to New Zealand. I will miss being a professional racer and going to all the races. 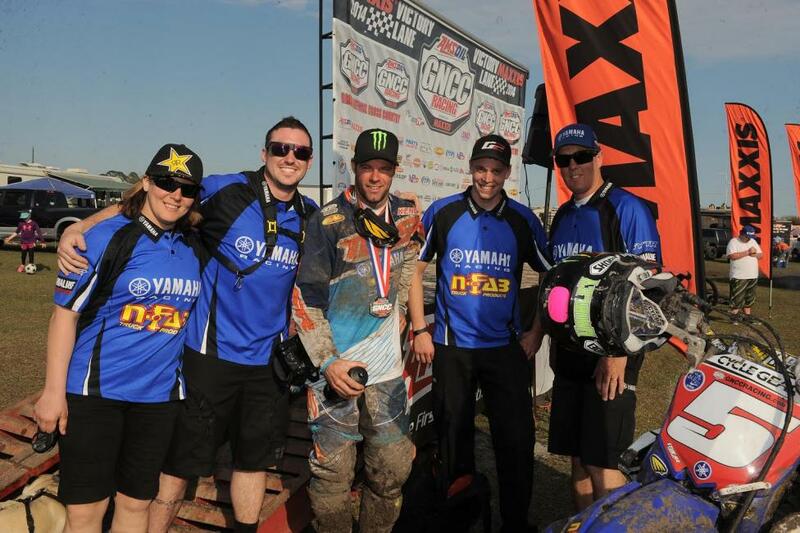 But will miss even more the friends we have made along the way and our family at the Am Pro Yamaha team. We have met some great people and made lifelong friends. We've had the opportunity to work with and learn from many of the sports greats from here and all over the world. We have seen a lot and experienced even more. The support from the fans has been amazing. We have been welcomed and accepted as if we were one of your own. Which makes it even harder to leave. And it all would not have been possible without the great sponsors, many have been with us for the long haul and become as much friend as sponsor. To Donnie Luce and Yamaha for the great support and providing the best equipment, Ash and the team at Monster Energy, The Coombs Family/Racer Productions Staff for providing the world’s most professional off-road series, Bill Gussie and the staff at the OMA events for some of world’s best courses, John Ayers and his staff for the wonderful television coverage that has helped elevate all the Racers that compete at the GNCC events, also all the members of the Media that have provided all the coverage over the years. A huge Thank You to all. The future is a little uncertain at this stage but I welcome the blank canvas and look forward to painting the next portrait of my life. Looking back on it all I wonder where the time went. Traveling around the world chasing our dreams and realizing many of them. Now it’s time to take a step to the side and help little Colton chase his. So from Myself, Katherine and Colton we thank you all for your great support and friendship over the years. And if your ever in New Zealand please drop us a line.